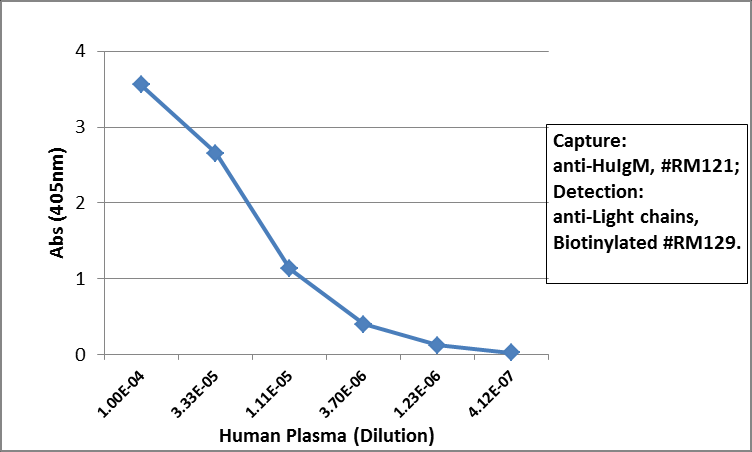 Sandwich ELISA using RM121 as the capture antibody (100ng/well), and Biotinylated anti-human light chains (κ+ λ) antibody RM129 as the detection antibody, followed by an alkaline phosphatase conjugated streptavidin. 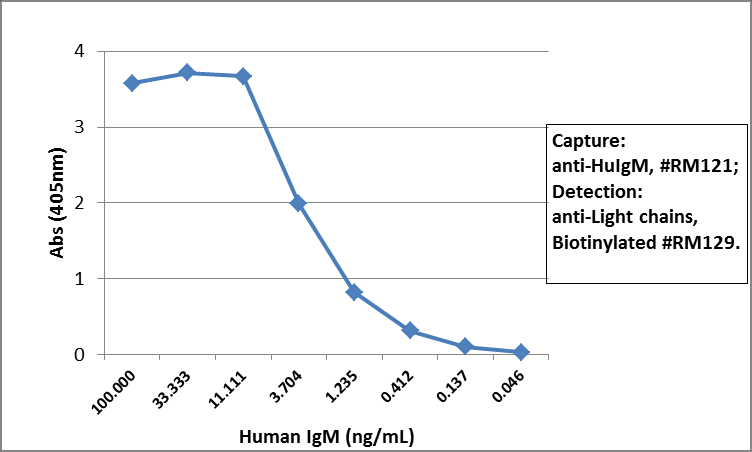 ELISA of human immunoglobulins shows RM121 reacts only to human IgM. No cross reactivity with Human IgG, IgE, IgD, or IgA. 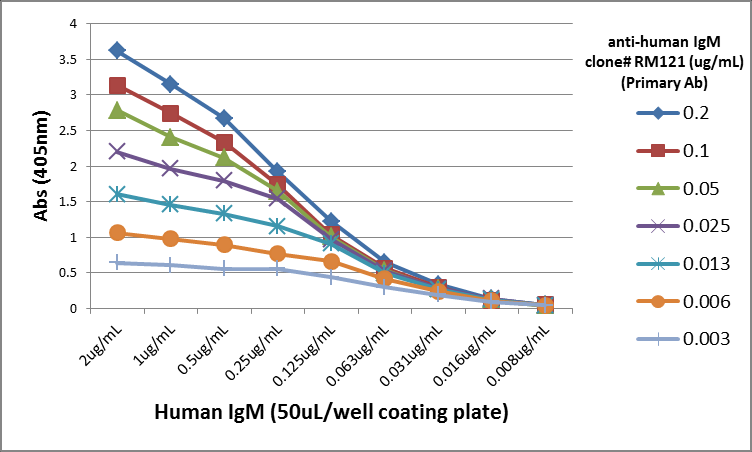 The plate was coated with 50 ng/well of different immunoglobulins. 200 ng/mL, 50 ng/mL of RM121 was used as the primary antibody. An alkaline phosphatase conjugated anti-rabbit IgG as the secondary antibody. A titer ELISA using RM121. The plate was coated with different amounts of human IgM. 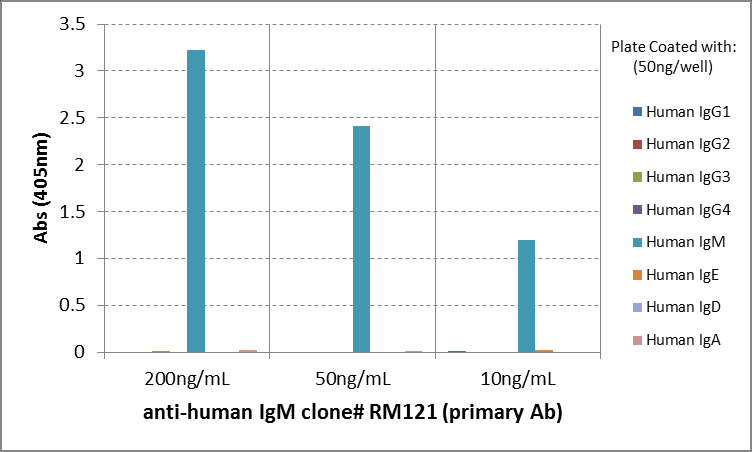 A serial dilution of RM121 was used as the primary antibody. An alkaline phosphatase conjugated anti-rabbit IgG as the secondary antibody.